So many of us have fond memories of at least one quilt in our lifetime. Perhaps it's the one that your grandma made for you when you were born and it became a cherished companion that you took EVERYWHERE. Maybe your college roommate made you a special quilt for your wedding that contained little inside jokes. It could have been one that helped give you much-needed comfort while you were ill.
With our new Cricut Maker, you too can be a quilt maker and memory giver if you aren't already! 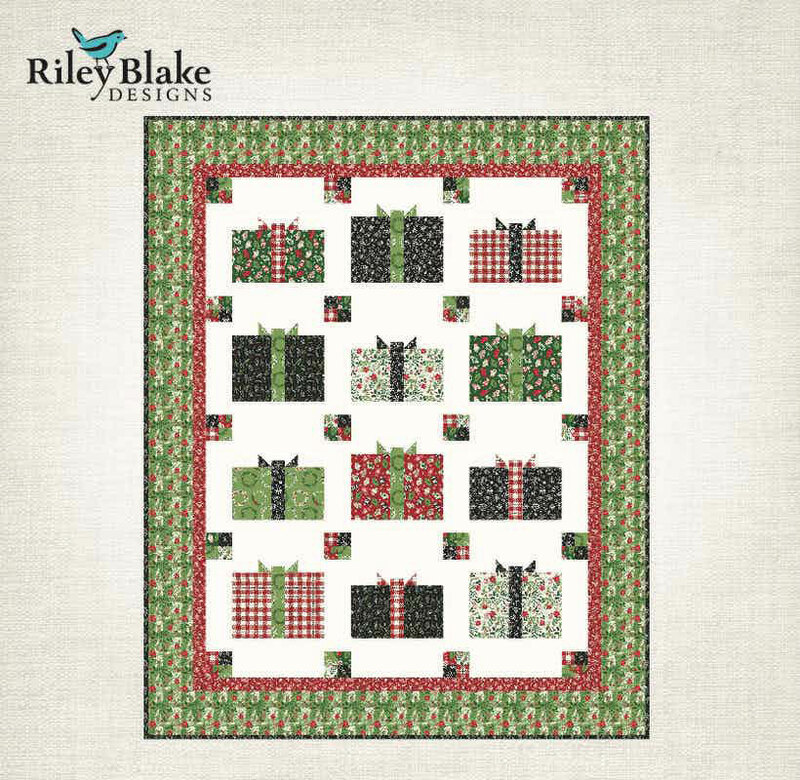 We are excited to be working with Riley Blake Designs to bring you fantastic digitized quilting patterns for any occasion. They have been designing gorgeous prints in many different types of fabric since 2008 and also offer coordinating notions and sewing project kits. Have you ever been intimidated by the process it takes to start piecing together a quilt? Just cutting out simple squares from each fabric and keeping track to ensure that you have enough can be such a chore. If you are trying to use a paper pattern, imagine pinning, cutting, and unpinning many times until you have enough. Riley Blake Designs is making it so much easier by digitizing lovely quilting patterns that tell the Cricut Maker exactly how many pieces of each fabric you will need and how to lay it out on the mat. Use the attached assembly instructions that they have included with each project and you'll be on your way to sewing it all together in a flash! Making a quilt for a special wee one that is coming into your life? 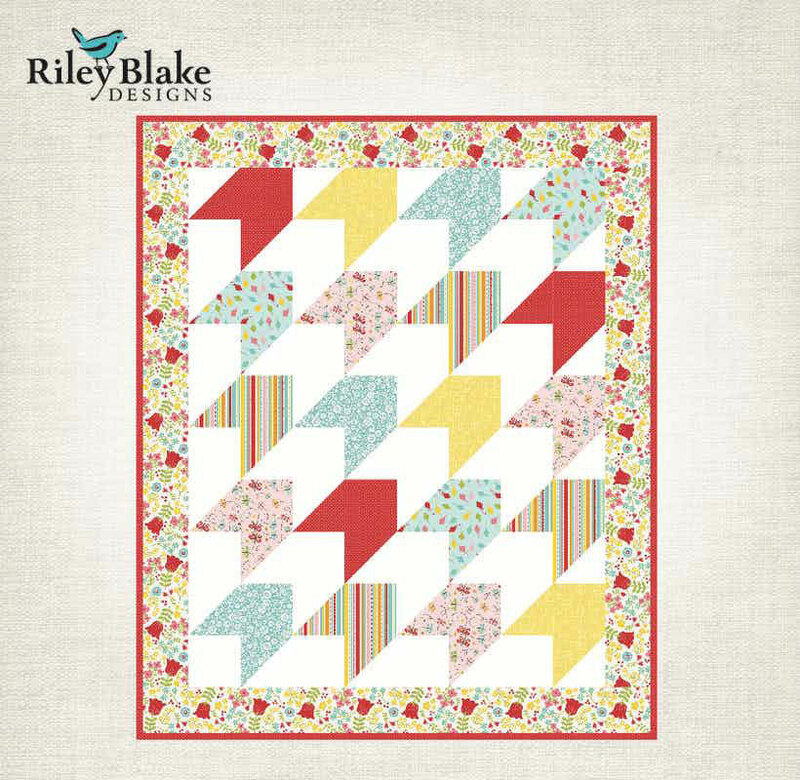 Try one of these baby quilt patterns, like the Around the Block Baby Quilt. If you were doing this by hand, you would have to worry about cutting out up to 7 different prints per block - whew! 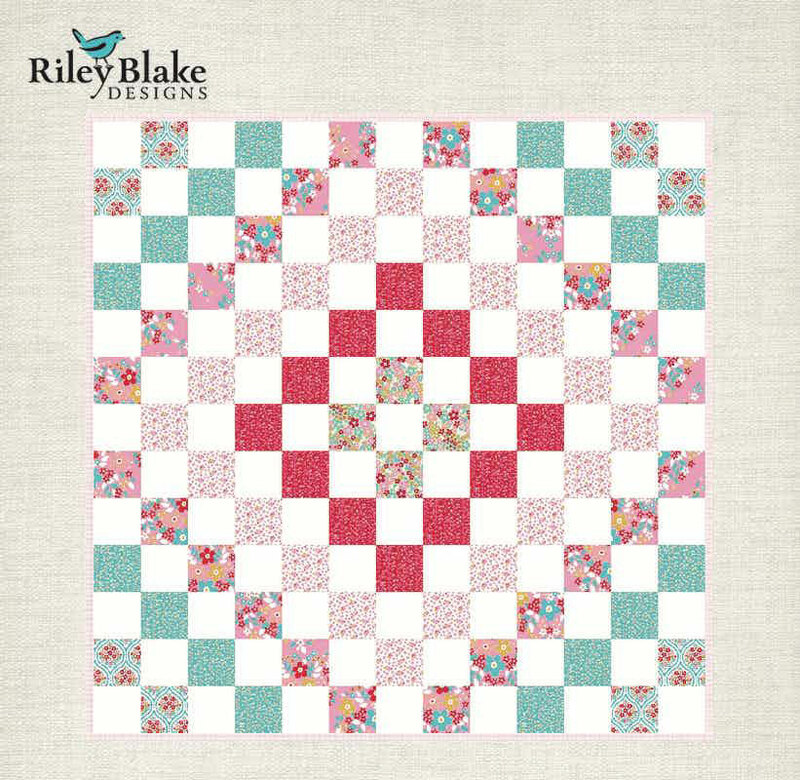 Point them in the right direction with the Arrows Baby Quilt. Keep it simple and sweet with the Around We Go Baby Quilt. Sip hot cocoa and read a good book while nestled under the Big Star Throw. Keep warm while you wrap your holiday gifts with the All Wrapped Up Throw. Which one of these did you like best? 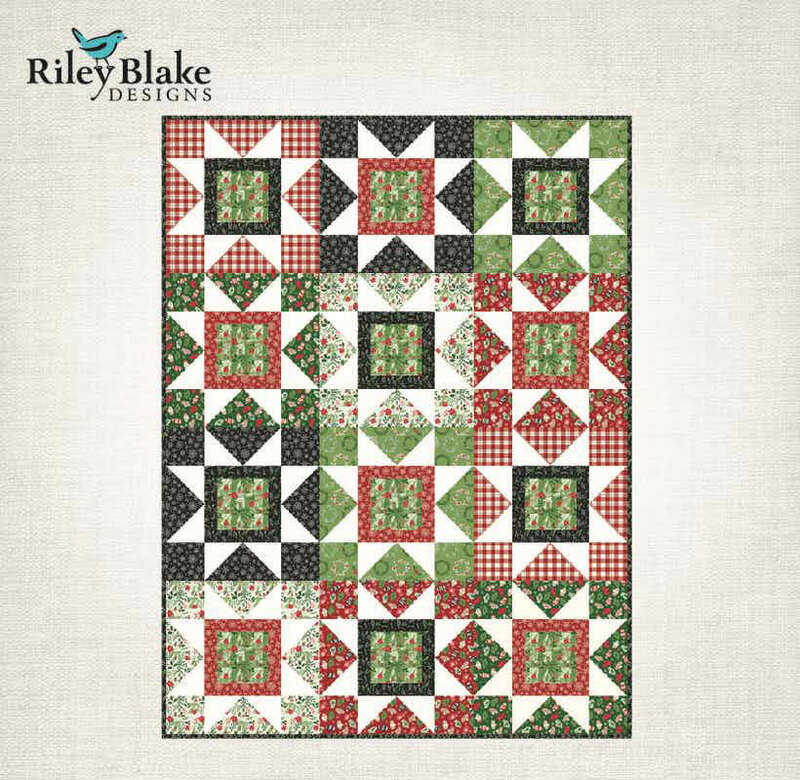 Do you have a favorite Riley Blake pattern or print? Tell us in the comments below! Can Cricut get any better? Wow now I can easily make quilts with the Cricut Maker! I love making quilts so much, I still buy fabric even though I haven’t quilted for a few years. It got where the time to match the fabric, pick a pattern, make the pattern, and then pin, and cut. All before I get a chance to sew. Kinda took a lot of time. Now I can make a quilt almost as easy as a paper project. When I finish the quilt, then I can make the box and gift card for my quilt. What a wonderful gift at Christmas! What a TREAT to do all this in not much time! Sooo Exciting! What an exciting new machine that can take the tedious work of all the preparation usually required to make a quilt and with a touch of a button it is simplified! 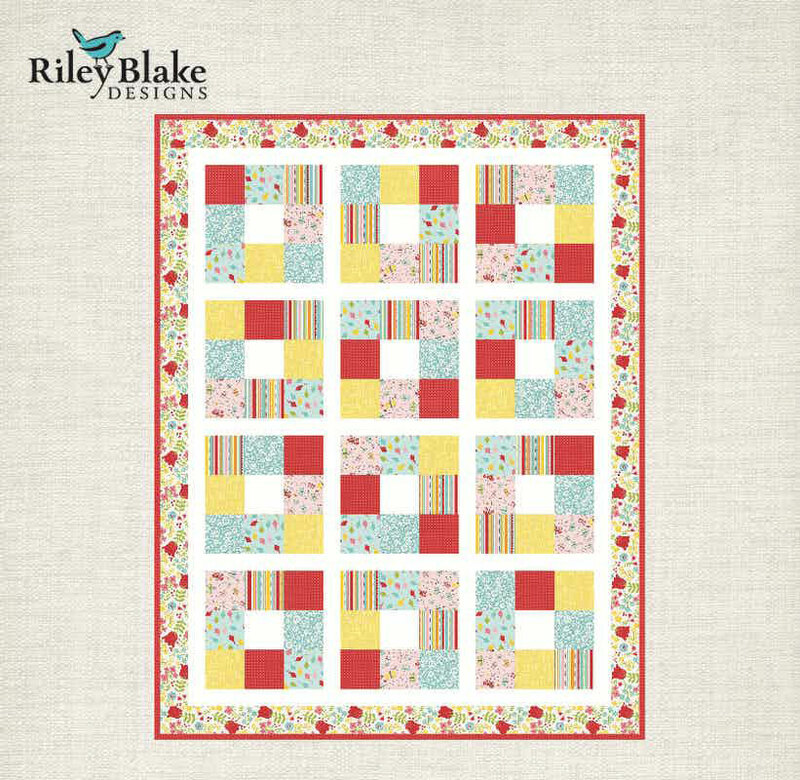 Riley Blake has always been at the top of my list for quilting fabrics and now to have the patterns to use with Cricut! A big thank you for all the engineering and thought that has went into the next phase of Cricut Creativity! I’m so looking forward to getting The Cricut Maker. My favorite quilt is the All Wrapped Up Throw. It’s exciting to think about making my first quilt and getting a jump on making Christmas presents too! Can this be done with the Cricut Explore Air also? Hi. You can cut fabric on the Explore Air if you bond it first. Can the Cricut Maker cut stabilized fabric for appliqués? Yes. You would want to use the bonded fabric blade for best results. I’ve been looking through the site and haven’t found any place that states how many layers you can cut at one time? Thanks. Since it adheres to the mat for stability while cutting, you would do one layer. I’ve been looking through the site and haven’t found any place that states how many layers of fabric (for quilting) you can cut at one time? Thanks. Would like some full, Queen, king quilts please. No babies in this house.